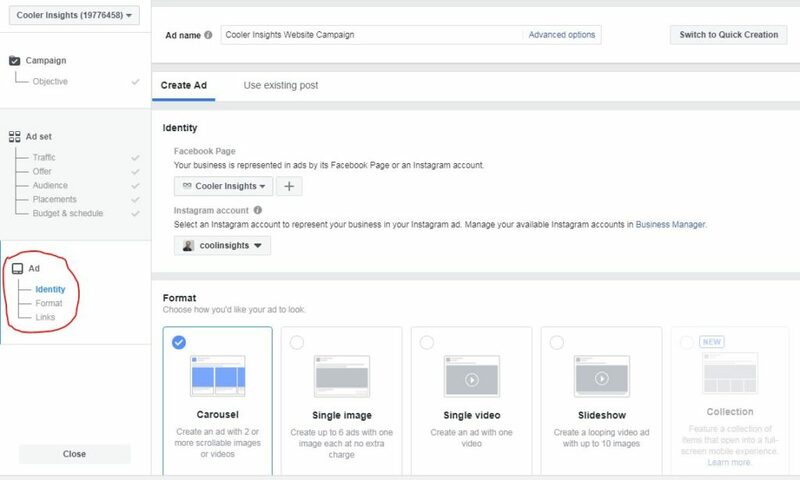 How do you create an ad on Facebook? What are the types of ads you can create and publish? 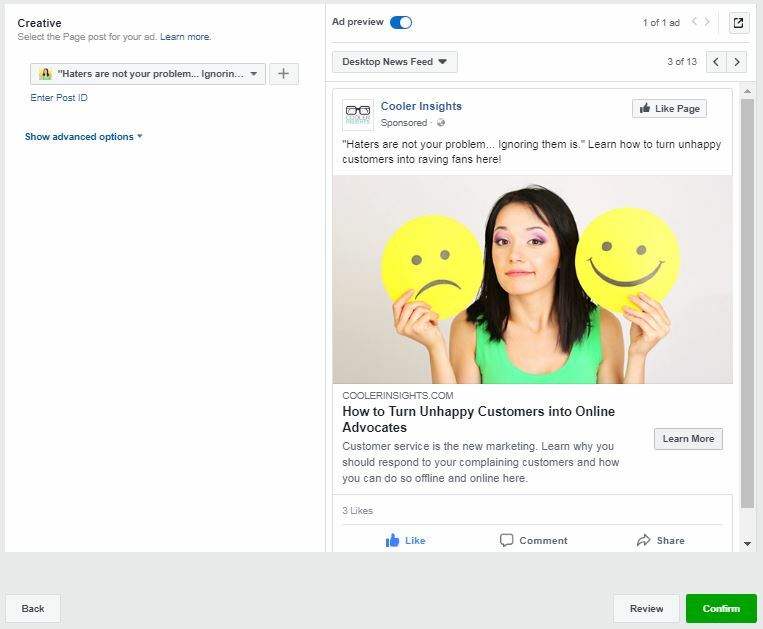 This article will guide you through the steps needed to create an ad on Facebook after you have selected your Campaign Objective and structured your Facebook Ad Sets. If you are unfamiliar with those steps, I advise you to read the articles I’ve published on these topics (Campaign and Ad Sets). 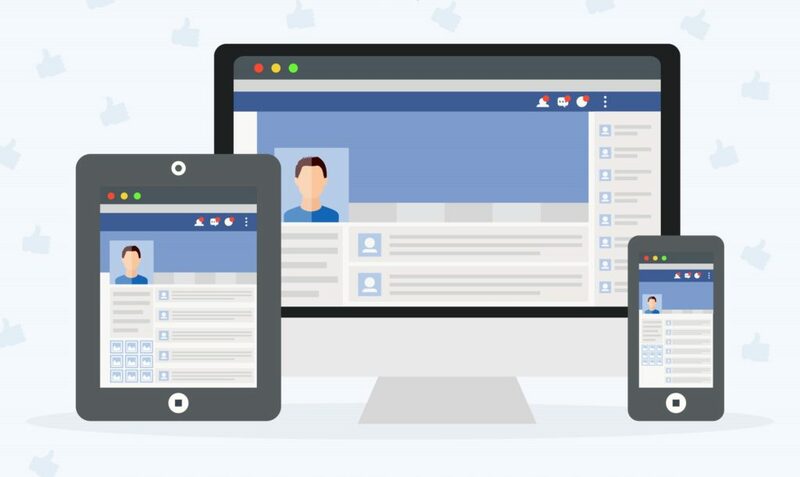 By now, you’re probably a little overwhelmed by the “science” of Facebook advertising. After all, there are numerous parameters that you need to consider in choosing your Campaign Objectives and building your Ad Sets. Fortunately, creating your ad is where the “art” of Facebook advertising comes in. Here you can demonstrate your design and video production skills, or showcase your copywriting prowess. First, you need to name your ads. For ease of remembering, I normally link it some way or other to the Ad Set that I’m using. Next, consider the identity of your Facebook ad, and assign them to a Facebook page and an Instagram account. 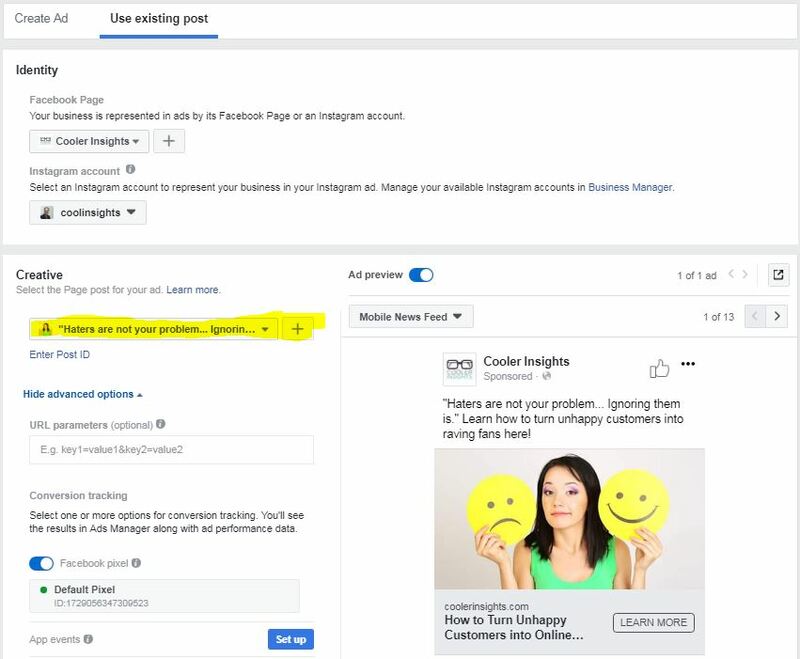 If its the first time you are running an ad, you may be asked to choose or create a Facebook page and Instagram account to be associated with your ad. 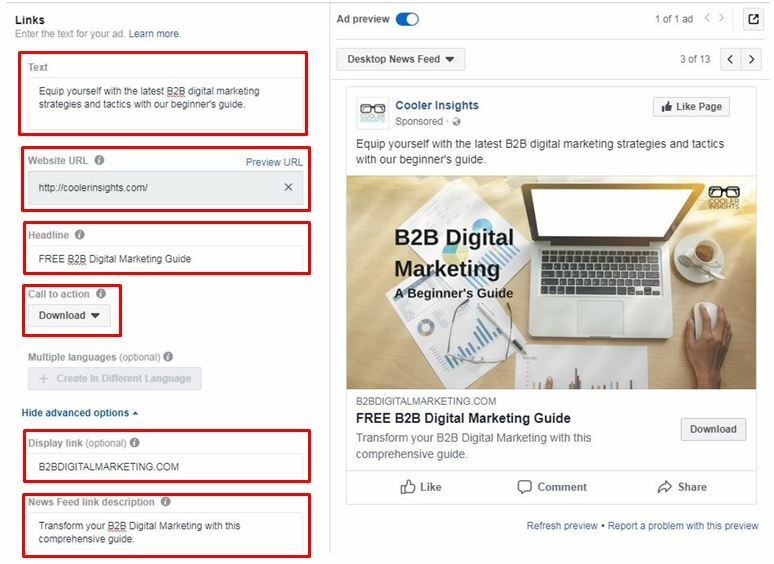 Once you’ve done it, you’ll be asked to choose your Facebook Ad Format. The good thing about this option is that you can skip all the steps of creating an ad and (almost) immediately run your ads straight off the bat. You can also scroll between the different formats to see how your ad (which was your post) looks like. To run the ad, all you need to do is press the green button “Confirm” and away you go! 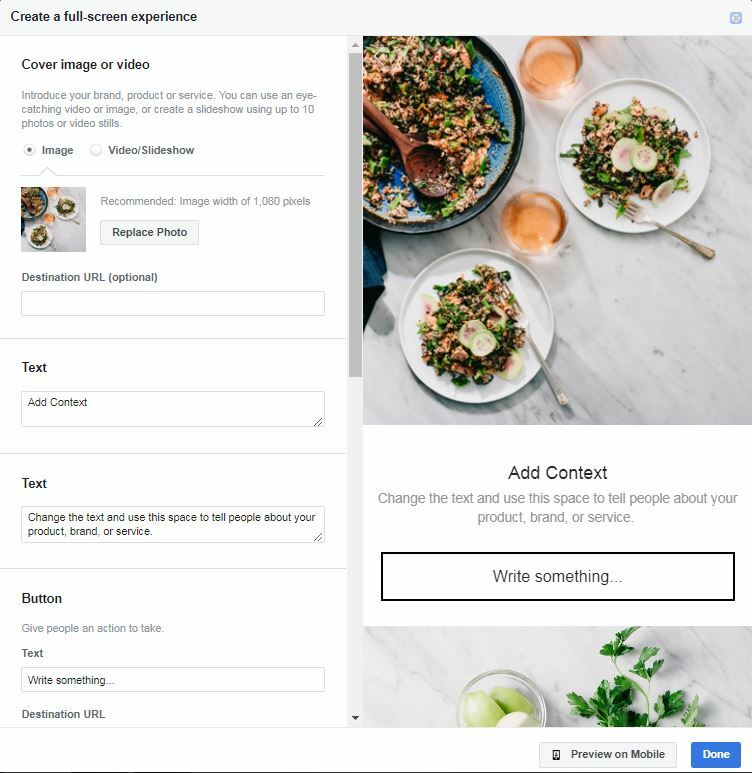 Now if you wish to create a new ad, you can choose from one of the formats provided, ie Carousel, Single image, Single video, Slideshow or Collection (a mixture of formats). You can even include a full-screen experience (only available for certain optimization and campaign objectives) if you wish to enhance your ad experience on a mobile device. The square images to be featured for each card (min 2 and max 10). Note the dimensions of 1080 by 1080 pixels. The text that will accompany the ad (suggested 125 characters before it is truncated). The headline for each “card” on the carousel ad, as well as descriptive text. Do be mindful of the character limits here – 40 characters for headline and 20 characters for description. The destination URL where the person clicking the ad would go to. If you wish to use a Single Image, your ad would look simpler than a Carousel and you only need to choose one image. 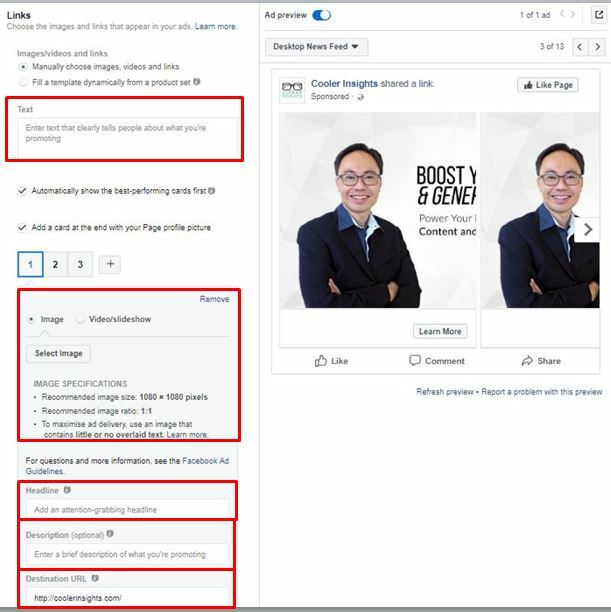 Note that the size of the image is 1200 x 628 pixels for the single image ad (you can use a tool like Canva or Crello to design this), and you can either choose a free stock image or design your own images. Here’s an example of a designed image for the Single Image ad. Note that I’ve tried to keep the text to a maximum of 20 percent of the area to ensure that I maximise ad delivery. 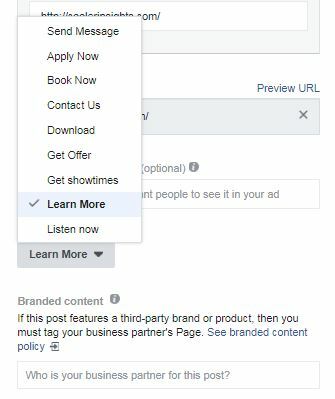 You can also choose a Video to be your Facebook Ad. 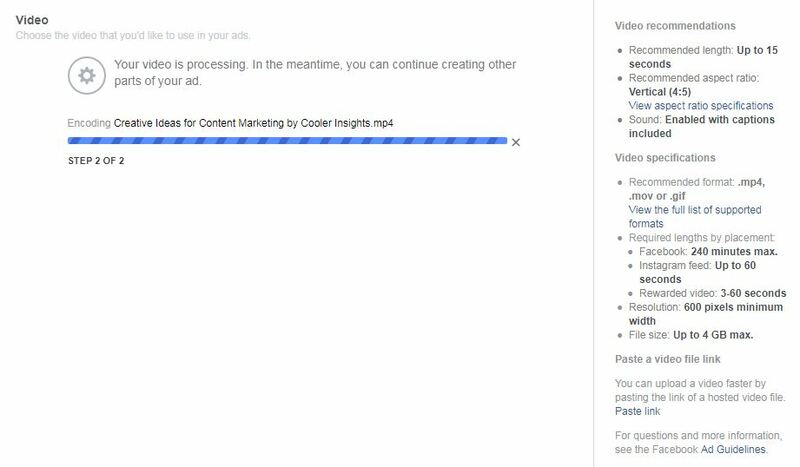 Now the cool thing is that you can actually upload a video up to 240 minutes long for Facebook! If you wish your video ad to appear on Instagram, you should keep it to 60 seconds or less. While Facebook recommends a length of 15 seconds and a vertical aspect ratio, it really depends on which length and size shows your video best. Beyond this, do also consider the various specifications for the video such as its resolution and file size. Here’s how my video looks like after I’ve uploaded it. Note that you can customise your preview image, and include captions (SRT File) if your video has them. After you’ve done that, do remember to include your text, headlines, URLs, newsfeed descriptions and CTA buttons as shown below. 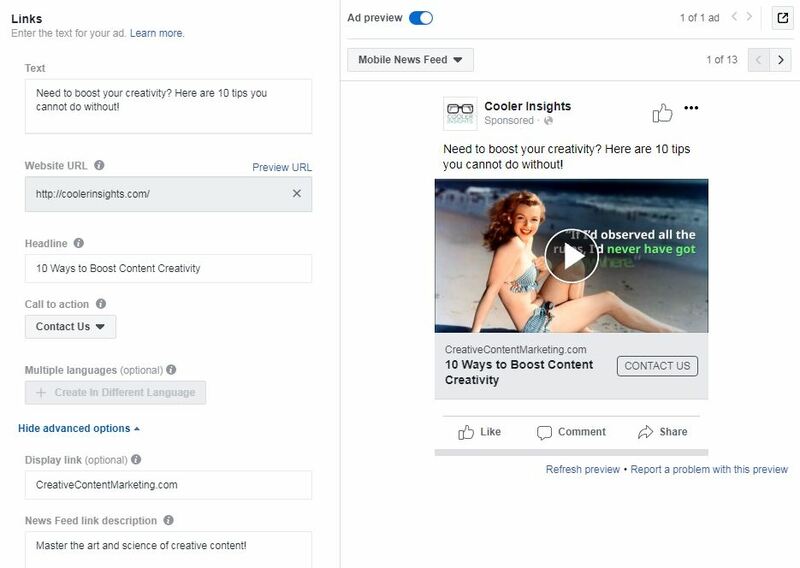 Beyond the above Facebook Ads, you can also choose other formats to experiment with them. If you choose a Full Screen Experience, you can pick from available Templates as shown below. You can customise these templates and fill them up with your own information, depending on which one best suits your need. Here’s the first one (Get new customers) for reference. Note that you can include a cover image or video, and also add additional texts and areas for people to peruse before taking action. What do you do after you have completed the ad? Well, publish it of course! I hope that this guide has been useful for you. 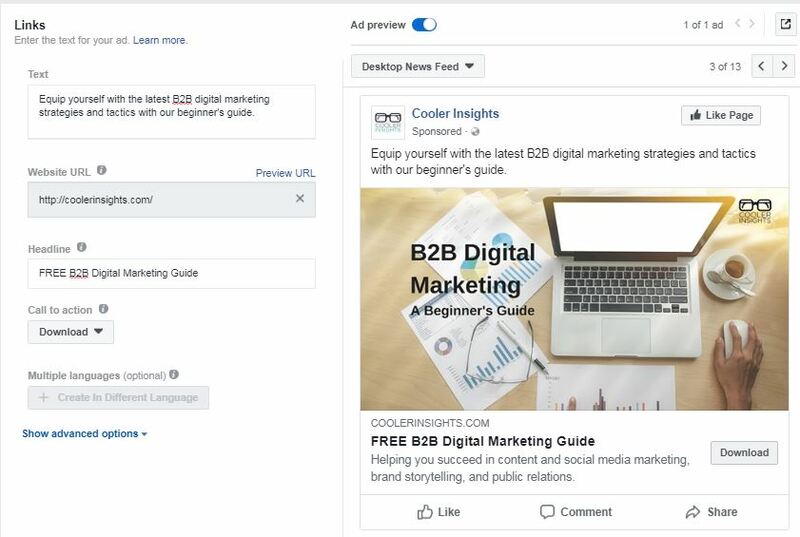 Continuing on this series of Facebook advertising guides, I will be sharing more specific strategies for creating different types of Facebook ads, looking at their building blocks, creatives, and videos.